Comes with pre-programmed 10,000 of the worst scam numbers. Includes CPR Call Blocker V10000 and two line cables. 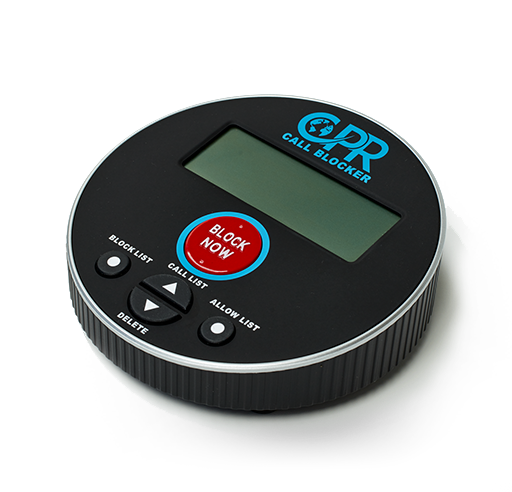 The CPR V10000 puts you back in control of your privacy & turns your home phone back into an instrument for communication not frustration. Not who you expected? Hit the 'Block Now' button and the caller will never ring again. Plus, you can stop up to 2,000 numbers of your own choosing by simply pressing the Block Now button. Pre-programmed with 10,000 of the worst offenders, the hard work has already been done. 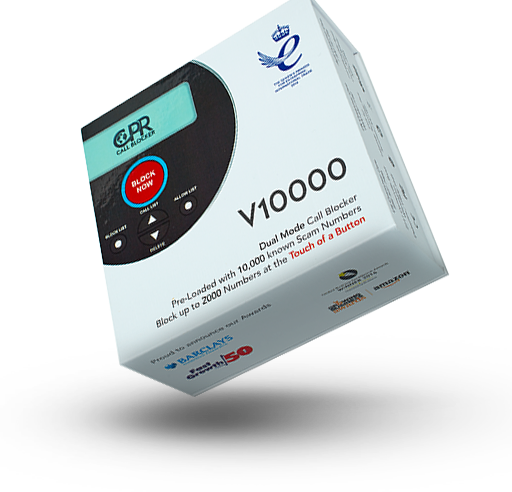 The V10000 comes pre-programmed with 10,000 of the worst offenders, massively reducing scams, unwanted sales pitches, and other nuisance calls immediately. "This call blocker works perfectly. Amazing. the “block” button gets rid of it immediately." "Better than I expected. Super easy to set up. Buttons feel good. Seems well made. Couldn't ask for more. Very pleased to be able to block calls that were bothering me." 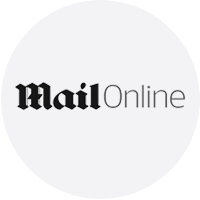 "We were averaging at least 20 junk calls per day. comment on long term use, but the relief we got was immediate. There are no problems we are aware of." "Wonderful product. We were so tired of the unwanted alls, scams, etc.. 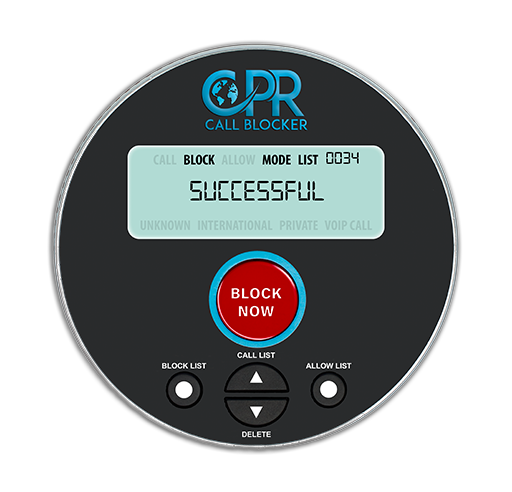 The call blocker comes with exceptional instructions and has greatly decreased our unwelcome calls, allowing only the calls we want to receive. Thank you. It truly keeps your sanity at home." "This call blocker works perfectly. Amazing. I was getting more than one 10 unwanted calls per day and now I get one or none per day. When one does happen the “block” button gets rid of it immediately."